Senior George Bush, who was a steady force amid the crisis period of the Soviet Union’s breakup and the invasion of Kuwait by Iraq, died at the age of 94 yesterday. He remained the President during the tenure of 1989 to 1993. 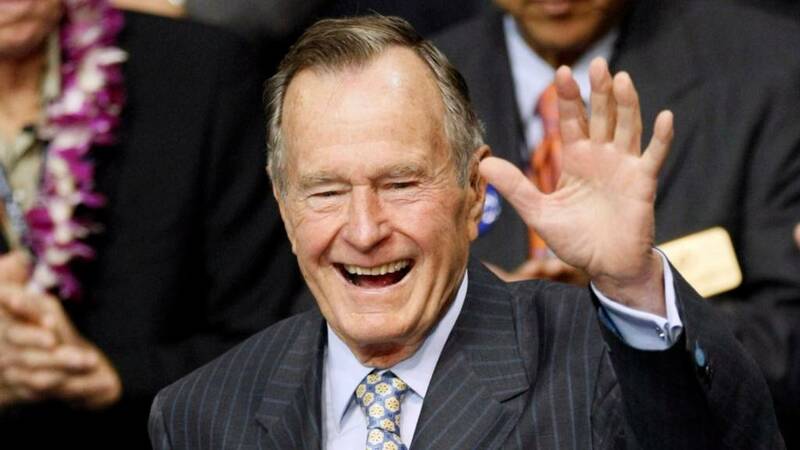 His son, George W. Bush said on behalf of his family: “George Herbert Walker Bush, world war two naval aviator, Texas oil pioneer, and 41st president of the United States of America, died on 30 November 2018. The statement from the late former President’s office had also previously told that George Herbert Walker Bush, a WW II naval aviator, Texas oil pioneer, and 41st US President, died on November 30, 2018. He was survived by his five children and two siblings. His wife, Barbara, had already died, previously, at 73. There was also his second child Pauline Robinson ‘Robin’ Bush; and his brothers Prescott and William or ‘Bucky’ Bush. The announcements about George Bush Senior’s funeral will be made soon. Bush had been admitted to hospital in Houston, Texas, back in November 2012 due to the problem of a bronchitis-related cough. It resulted in a two-month stay under the observation of doctors. Two years later, he spent another week in the hospital after the complaint of shortness of breath. Current US President Donald Trump also admired Bush for his sound judgment, common sense, and unflappable leadership. Bush was highly respected for showing steady hand during the fall of the Berlin wall, an unpredictable moment in history. As the Soviet-backed communism in eastern Europe collapsed, the US emerged as the single global superpower. He will also be remembered for bringing two legislative laws that he introduced in America: the clean Air Act Amendments, being signed into a law in 1990, and the Americans with Disabilities Act, which was also made a law in that same year.